Established in 2008, Code Green aims to be the national leader in the field of sustainable design and construction. Principle and founder, Chris Knierim is an International and Australian award winning designer who creates magnificent residential and commercial homes, buildings and spaces in harmony with the environment. Chris and his designs have been featured on Grand Designs Australia, Better Homes & Gardens & Channel 7's Sunrise program. Chris is a regular contributor to Grand Designs Australia Magazine as well as a feature writer on Houzz. Chris and Code Green utilise the very latest in sustainable building products, design innovation and expertise to create beautiful spaces that are a pleasure to see and live or work in. novam design studio, based on the northern beaches has one main premise - to work collaboratively and personally with clients, to nurture their ideas and needs and create dynamic and unique architecturally designed spaces. We see a confident and personable relationship with clients and builders as critical for all projects to reach their full potential. Our commitment is to always develop an inspirational design response to each client's brief with a thorough understanding of all opportunities presented by brief, site and context. 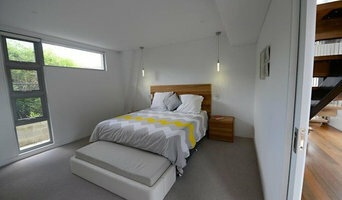 Creative Homeplans is residential design business based on the Northern Beaches of Sydney. We specialise in bringing outdated and out grown homes into todays world with simple but elegant light filled open space redesigns. With 15 years experience in deigning and building homes in Sydney and Brisbane. Plan Shop is a building designer and architectural drafting practise. Serving Sydney for over 35 years. Inspired designs that get approved and ultimately built to your satisfaction. Full design, drafting, engineering and town planning service for small and large residential properties. Renovations, new builds or heritage properties. We provide packages for Development Applications, Complying Developments and Construction Certificates. Building Designer Roman Marjanac has worked in the building industry for over 25 years gaining valuable, practical building knowledge. 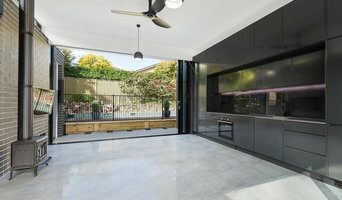 Since 1998 the focus has been on custom design of Renovations and New Homes in Sydney and beyond. Every design is as individual as each client, we design to suit the lifestyle of our clients and apply industry knowledge and passive solar design principles to create very liveable, practical and comfortable homes. We gain a high number of referrals from satisfied clients and have clients return many times for ongoing projects. From inner city terrace Renovations to New Homes on acreage, we can confidently design to suit your lifestyle and budget. Designing to suit the site is essential, a design that works well on the site costs less, is more comfortable to live in and has less maintenance issues. We design from concept stage using the latest 3D CAD software, this not only allows you to better visualise the project from any angle but also allows us to analyse the building better to support sustainable design. Envirotecture provides design and consulting services for people and organisations who want buildings that work well, feel good, and are culturally appropriate – and reduce their ecological cost toward zero. We have over 35 years experience in passive solar and sustainable design, and have received numerous peer design awards, community and sustainability awards. We are Certified Passive House Designers, an approach to design that guarantees low energy and high comfort. Carl has a focus on Energy Efficient house design. 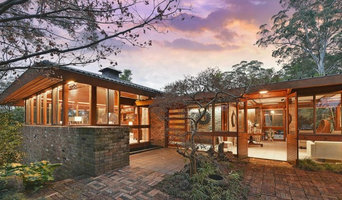 Over the last 17 years he has designed and seen built numerous houses around the Newcastle and the Sydney region. Throughout his time in the industry Carl has a profound understanding and implementation of the core principles of Ecologically Sustainable Design. Each site is unique in it's own way and the key challenge is to design the best possible home that minimises the impact to the environment. Mortar Studios is a Sydney-based creative production house with a versatile team of highly talented CG artists and developers. We specialise in 3D modeling and animation but generally, we are a Swiss army knife in computer graphics and mobile app development. We have had the privilege of working with an amazing range of Aussie and global clients, involving character development, 3D modeling and animation, app development for Augmented Reality, Architectural visualisation, video editing, product marketing imagery and a lot more. Our team are the most inspiring, highly skilled bunch of creative geniuses, and together we deliver entire projects from concept to finished design. From napkin sketch to Augmented Reality App ... From storyboard to finished TVC ... If you can imagine it, we can create it! The practice was established by Justin Long in 1999, and has endeavoured to set a high standard of design excellence demonstrated by built projects and continual referrals. 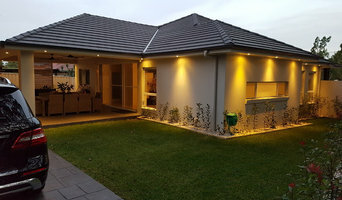 AM Designs offers efficient, down to earth and cost effective house design and planning services for new homes, extensions and any project big or small between Sydney and Newcastle. 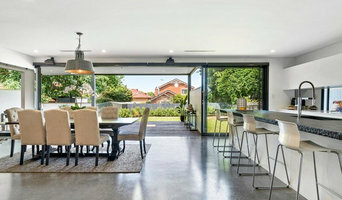 Following ten years of various forms of Architectural and home design experience between Sydney and Newcastle, AM Designs found a missing middle for home owners interested in homes with more soul than that of the project home development, but also frustrated with the expensive services provided by Architects. AM Designs has a particular interest in home owners interested in Bespoke design (meaning for a specific user or purpose) but also frustrated with the fluff that often comes along with that. AM Designs believes design should be available to everyone and that it can be delivered at reduced costs through smaller houses and the removal of excessive and expensive materiality and detailing.